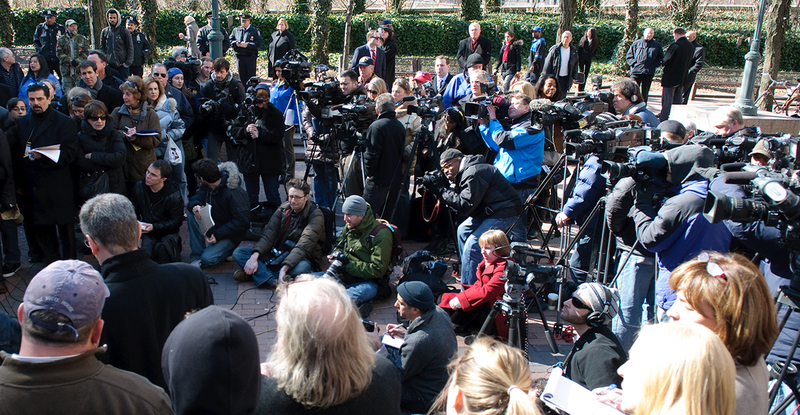 Many of the world’s top media outlets have documented LibForAll Foundation’s pioneering role in developing, and implementing, an effective strategy to discredit the ideology of religious hatred that underlies and animates terrorism. We do so by mobilizing support for a pluralistic and tolerant understanding of Islam, at peace with itself and the modern world. “How can we – Muslims and non-Muslims together – prevent another atrocity like the one in Christchurch? As I have watched New Zealanders of all faiths mourn, this has been the question on my mind. So far, few of the answers offered have come close to the truth. What the massacre revealed was the need for a clear understanding of the weaponisation of ethnic, religious and political identities that is going on throughout the world. This was Brenton Tarrant’s evil aim: to contribute to a polarisation of the West – and to a parallel phenomenon in the Muslim world. His actions, which eerily resemble those of Isil and other Islamist terror groups, were calculated to intensify the hostility and suspicion that already exist towards Muslims in the West. They were also designed to elicit a response from Islamists and so encourage a cycle of retaliatory violence. We must not let him, or anyone else, succeed. Solidarity across racial, religious, cultural and political lines to address this global crisis is the only answer. But this means resolutely acknowledging the causal factors of the violence that we are seeing in so many parts of the world. As a Muslim, this leads me to questions that require difficult but honest answers.” Read the full article (PDF). “In the U.S., most reactions to the hideous Mar. 15 massacre of Muslims at prayer in New Zealand have simply been rehashes of pre-existing attitudes and agendas—including fears of right-wing terrorism and the need for gun control. There has been little real learning from this terrible event that could shape what we do in the future. “However, on Mar. 24, there was a remarkable article in the U.K.’s Daily Telegraph that suggests at least one way forward. “Titled ‘How can we prevent another atrocity like the one in Christchurch?’ it stresses the urgent need to address the ‘problematic elements of Islamic orthodoxy that underlie the Islamist worldview, fuelling violence on both sides’ and concludes that ‘jihadist doctrine, goals and strategy can be traced to specific tenets of orthodox, authoritative Islam and its historic practice.’” Read the full article (PDF). “It would have been logical for Western governments to have looked for contacts with major moderate Muslim organizations abroad and incentivize them to set up representations in their countries. A recent visitor to Germany who met with senior officials in ministries told me, however, that ministry officials knew nothing or next to nothing about the NU. “Trying to promote and support a representation of NU in Germany should have been a priority, as it has a consolidated view of what moderate contemporary Islam should be. Such an NU presence could be vocal and provide courses and literature, provided its security is assured. Even if the NU only served as a powerful focal point for Muslim moderates in the country, that would be a great gain.” Read the full article (PDF). “Many Western politicians and intellectuals say that Islamist terrorism has nothing to do with Islam. What is your view, as leader of the world’s largest organization of Sunni Muslims, the Nahdlatul Ulama of Indonesia? “‘Western politicians should stop pretending that extremism and terrorism have nothing to do with Islam. There is a crystal clear relationship between fundamentalism, terror and the basic assumptions of Islamic orthodoxy. So long as we lack consensus regarding this matter, we cannot attain final victory over fundamentalist violence within Islam. Radical Islamic movements are nothing new. They’ve appeared again and again throughout our own history in Indonesia. The West must stop ascribing any and all discussion of these issues to ‘Islamophobia.’ Or do people want to accuse me—an Islamic scholar—of being an Islamophobe, too?’” Read the full article (PDF). “JAKARTA, Indonesia — The imposing, six-foot-tall painting is a potent symbol of modern Indonesian history: the country’s founding father, Sukarno, cradling a dead, barefoot rebel killed by Dutch colonial forces amid rice fields and smoldering volcanoes in late-1940s Java. “The fighter’s bloodied shirt draws immediate attention — but so does a necklace dangling from the body: a Christian cross, worn by the independence martyr for the world’s most populous Muslim-majority nation. “The 2006 painting has become the symbol of a global initiative by the Indonesian youth wing of Nahdlatul Ulama, the largest mass Islamic organization in the world, that seeks to reinterpret Islamic law dating from the Middle Ages in ways that conform to 21st-century norms. “Among other things, it calls for a re-examination of elements of Islamic law that dictate relations between Muslims and non-Muslims, the structure of government and the proper aims and conduct of warfare. “Leaders of Nahdlatul Ulama’s youth wing, known as Ansor, say that elements of Shariah, which Muslims consider divine law, are being manipulated by groups like the Islamic State and Al Qaeda to justify terrorist attacks around the world, invoked to rally fighters to battle in the Middle East and elsewhere, and distorted by movements that seek to turn Islam into a political weapon.” Read the full article (PDF). “JAKARTA, Indonesia — The scene is horrifyingly familiar. Islamic State soldiers march a line of prisoners to a riverbank, shoot them one by one and dump their bodies over a blood-soaked dock into the water. “That powerful scene is one of many in a 90-minute film that amounts to a relentless, religious repudiation of the Islamic State and the opening salvo in a global campaign by the world’s largest Muslim group to challenge its ideology head-on.” Read the full article (PDF). “One of the scholars at the Notre Dame conference whom I particularly admire is Nasr Hamid Abu Zayd, an Egyptian Muslim who argues eloquently that if the Koran is interpreted sensibly in context then it carries a strong message of social justice and women’s rights…. Dr. Abu Zayd is helping the LibForAll Foundation, which promotes moderate interpretations throughout the Islamic world…. “If the great intellectual fires are reawakening within Islam, after centuries of torpor, then that will be the best weapon yet against extremism.” Read the full article (PDF). “It is essential that Western leaders and opinion makers recognize that Islamist extremism and terror arise from the web of complex factors — historical, religious, economic, and political — and that Islam is not a monolithic belief system. Despite the prevalence of the recently promoted Wahhabist mentality, traditional Islam has a long history of humane and tolerant values, and that the great majority of Muslims deserve to be viewed as allies in creating a humane and just world.” Read the full article (PDF). “Obama officials, and hard-line conservatives who assert that all Muslims are radical, should have come over to the Heritage Foundation this morning. The ostensible purpose of a two-hour session was the English translation of a landmark Indonesian book, The Illusion of an Islamic State. That original book provided Indonesians with a theological argument against advocates of a radical interpretation of Islam. It also supplied a wealth of revealing information on the degree to which outside forces (Saudi Arabian Wahabbists), funded generously by oil money, had sought to manipulate the 2009 national election in the largest Islamic democracy in the world. The result was remarkable: a repudiation of the vice presidential candidate backed by the Muslim Brotherhood-related PKS party and a new determination to reject the exclusionary, radical and violent sort of Islam that, in the minds of many in the West, has come to represent the only ‘legitimate’ type of Islam. “[T]he book is meant to stir debate, undermine misconceptions and shatter the aura of legitimacy that radical Muslim leaders have erected. In that regard, the book and the Heritage event should be considered a roaring success.” Read the full article (PDF). “It is not hard to appreciate that anti-extremism efforts are critical to winning the war against Islamic terror. It is a daunting task, but Mustofa Bisri and Taylor remind us that a single book with a powerful message had a huge political impact in the largest Muslim-majority democracy in the world. If it can work in Indonesia, why not in the rest of the world?” Read the full article (PDF). “[In 2004], Indonesia’s best-selling magazine was an Islamic weekly called Sibili, which offered a mix of wild anti-American conspiracy theories and cheerleading for jihad. Today the tide seems to have turned…. “Sibili, meanwhile, has toned down its anti-Western rhetoric. ‘We now see bigger potential for sales among moderate Muslims,’ said Lufti Tamimi, the magazine’s director and part-owner. In January, Tamimi ditched Sibili’s hard-line editor and commissioned a series of articles denouncing Salafism, a purist strain of Islam that underpins extremist ideology.” Read the full article (PDF). After visiting Israel and meeting with PM Netanyahu, Indonesian cleric Yahya Cholil Staquf has received criticism at home. In a DW interview, he said that a “reinterpretation” of Islam is necessary for peace. “I ask clerics from all religions to think about what solutions religion can offer to various conflicts that are engulfing the world today. Religion is often used as justification and even weapon for conflict. Is religion really just for this or does it offer a solution?” Read the full article (PDF). Award-winning music video created in honor of Nahdlatul Ulama (NU) General Secretary’s visit to Jerusalem is part of a comprehensive, global campaign to transform religion from a political weapon into a source of universal love and compassion. “Clad in camouflage and armed only with their convictions, the paramilitary wing of Indonesia’s biggest Muslim organisation is on a campaign — to crush intolerance and defend the nation’s inclusive brand of Islam. “The ‘militant moderates’ from the Nahdlatul Ulama, which boasts 45 million members, are on the march as worries grow over the rise of ultra-conservative forces in the world’s most populous Muslim country. “Hundreds of them swooped recently on a hotel hosting a meeting of a radical outfit, Hizb Ut-Tahrir, which wants to transform Indonesia into a ‘caliphate’ run by sharia law. “They surrounded the building and forced an end to the meeting, before members were escorted away by police.” Read the full article (PDF). “The vital role of the Nahdlatul Ulama stems from its success as a mediator between the Indonesian government and its people. The NU can maintain a harmonious relationship between the government and the people due to its spiritual values, political engagement and mass following, which combine a profound understanding of Islam with respect for the inherent variety of Indonesia’s countless local cultures. That is why the Nahdlatul Ulama has consistently nurtured the values of Islam Nusantara (East Indies Islam) for over a century, and is now poised to export its collective wisdom and experience throughout the world, for the benefit of humanity.” Read the full article (PDF). “When the role of the text is demoted from that of Divine communication/interaction with humanity, and Scripture harnessed to legitimize and support a specific political authority, it is logical to expect that the temporal authorities in question will tend to pronounce the text [and specifically, their interpretation of it] as authoritative, and thus beyond human questioning, interaction or debate. The political authority thus seeks to conceal its true nature – as a self-interested, unjust and oppressive tyrant, whose absolute power must not be challenged – behind its depiction of the text as a similarly unquestionable and unchallengeable authority. Which is to say, that in such an authoritarian context, the distinction between political and Scriptural authority is completely dissolved, and the two merged into one.” Read the full article (PDF). “LibForAll Foundation, an NGO which cares deeply about Islam and Muslims… strives to express, clarify and widely disseminate a true understanding of Islam not only to non-Muslims, but also to Muslims in general. LibForAll aims to present the moderate and tolerant face of Islam, and explain the importance of [Muslims] returning to the essence of Islamic teachings which, until now, have been poorly understood by many groups [both in Islam and the West].” Read the full article (PDF). “…the profoundly spiritual and tolerant worldview embodied in the term Islam Nusantara has begun to expand beyond its local framework to a global environment. Many lines of communication have been initiated between the Nahdlatul Ulama and various Western governments. [Spiritual leaders within] the Nahdlatul Ulama have begun to establish working relationships and operational nodes in many countries, operating under the organizational name, “Home of Divine Grace (Bayt ar-Rahmah).” Each operational node propagates the model of tolerance embraced by the Nahdlatul Ulama—such as peaceful coexistence with others and respect for individuals’ right to privacy, including freedom of thought and conscience—and seeks to accomplish this by leveraging the profound humane and spiritual values that underlie and animate all religions.” Read the full article (PDF). his lifetime and in the years immediately following his death. “Muslims and non-Muslims must unite to defeat the Wahhabi ideology.” This “must-read” op-ed by LibForAll’s co-founder, board member and senior advisor appeared in the year-end editions of the U.S. and European Wall Street Journal (Friday, December 30, 2005) labeled “EXTRA! Read all about it!”, and in the first edition of 2006 in the Asian Wall Street Journal. Subsequently described by the Wall Street Journal as “a seminal article for this newspaper” (February 25, 2006), and praised by the Hudson Institute’s Center on Islam, Democracy and the Muslim World as “a far-ranging and detailed account of what [Wahid] views as ‘the global struggle for the soul of Islam’… We recommend this article, which we’ve re-published in this issue of Current Trends in Islamist Ideology, to very serious reading and reflection.” It remains as relevant today as when it was published eleven years ago. Read the full article (PDF). “Even more important than his role as a politician, Wahid was the spiritual leader of Nahdlatul Ulama, the largest Muslim organization in Indonesia, and probably in the world, with 40 million members. He was a product of Indonesia’s traditionally tolerant and humane practice of Islam, and he took that tradition to a higher level and shaped it in ways that will last long after his death.” Read the full article (PDF). “Many Muslim Indonesians considered Mr. Wahid a living saint. But Christians, Buddhists and many others mourned his passing last week. Their grief is testament to the power of his ideas, not just for Indonesians, but for every other pluralistic society seeking a peaceful and prosperous future.” Read the full article (PDF). Bret Stephens, writing in the Wall Street Journal, calls LibForAll co-founder Abdurrahman Wahid “the single most influential religious leader in the Muslim world” and “easily the most important ally the West has in the ideological struggle against Islamic radicalism.” Read the full article (PDF). This article describes the successful efforts of LibForAll advisor and senior fellow Dr. Abdul Munir Mulkhan to help stem the tide of radical Islam in Indonesia. Read the full article (PDF). “BALI, Indonesia – Today, religious leaders from many faiths and nations will gather here for a landmark conference in a unique place ~ an island of tolerance, not terrorism. In a world in which religion is manipulated to justify the most horrific acts, it is our moral obligation not only to refute the claims of terrorists and their ideological enablers but also to defend the rights of others to worship differently: in freedom, security and dignity….” Read the full article (PDF). “LibForAll itself is a model of what a competent public diplomacy effort in the Muslim world should look like. “In its brief life, LibForAll has helped turn back an attempted Islamist takeover of the country’s second-largest Muslim social organization (with 30 million members), translated anti-Wahhabist books into Indonesian, sponsored a recent multidenominational conference to denounce Holocaust-denial, brought Mr. Dhani to Colorado to speak to U.S. military brass, and launched a well-researched ‘extremist exposé’…” Read the full article (PDF). “Palestinians and Israelis need the world’s support to create a new reality, in which the highest values of religion and humanity are restored to their proper dignity. We must also help Muslim populations – not only in Palestine, but throughout the Arab world – to rise to embrace a profoundly spiritual and tolerant understanding of Islam, and a humanistic attitude toward the Israeli-Palestinian conflict that acknowledges the legacy of suffering on all sides. Such an attitude is a necessary precondition for recognizing Israel’s unique history and right to exist, while truly advancing the interests of Palestinians as well.” Read the full article (PDF). “‘Dhani, the founder of one of Indonesia’s most popular bands, is a very different kind of rock superstar. He’s promoting moderate Islam in a lynchpin country in the war on terror, tucking messages of tolerance beside Western beats and Arabic rhythms.’” The Wall Street Journal profiles LibForAll board member Ahmad Dhani, who is “creating his own jihad – for moderate Islam.” Read the full article (PDF). The largest lecture theatre at the Swedish National Defence College was nearly filled to capacity when LibForAll advisor, Kyai Haji Mustofa Bisri, addressed the audience on the topic of “Islam and terrorism.” Click here to watch a video of the seminar. “To the millions of Indonesian youths who sell out his concerts, Ahmad Dhani is a superstar who has commanded the nation’s rock scene for more than a decade. But the charismatic leader of Dewa, one of Indonesia’s top bands, isn’t just any entertainer crooning about the heartaches of romantic love. Dhani is an ambassador for peace, using his music to lead Indonesia’s youth away from radical Islam. “This week, the Muslim rocker was in the United States to share his message of religious tolerance with an entirely different audience: top U.S. government and military leaders at a national conference on homeland defense.” Read the full article (PDF). “All of humanity, whether Muslim or non-Muslim, is threatened by the forces of Islamist extremism. It is these extremists, masquerading as traditional Muslims, who angrily call for the death of Abdul Rahman or the beheading of Danish cartoonists. Their objective is raw political power and the eventual radicalization of all 1.3 billion Muslims worldwide. Western involvement in this ‘struggle for the soul of Islam’ is a matter of self-preservation for the West and is critical given the violent tactics and strength of radical elements in Muslim societies worldwide. “Muslim theologians must revise their understanding of Islamic law, and recognize that punishment for apostasy is merely the legacy of historical circumstances and political calculations stretching back to the early days of Islam. Such punishments run counter to the clear Koranic injunction ‘Let there be no compulsion in religion’ (2:256). “People of goodwill of every faith and nation must unite to ensure the triumph of religious freedom and of the “right” understanding of Islam, to avert global catastrophe and spare others the fate of Sudan’s great religious and political leader, Mahmoud Muhammad Taha, who was executed on a false charge of apostasy. The millions of victims of ‘jihadist’ violence in Sudan – whose numbers continue to rise every day – would have been spared if Taha’s vision of Islam had triumphed instead of that of the extremists. “The greatest challenge facing the contemporary Muslim world is to bring our limited, human understanding of Islamic law into harmony with its divine spirit – in order to reflect God’s mercy and compassion, and to bring the blessings of peace, justice and tolerance to a suffering world.” Read the full article (PDF). “The question confronting us – whose answer will be pivotal in determining the future of humanity – is whether the Muslim ummah (community) in the 21st century is willing to reinterpret the Qur’an, rather than remain stuck with an outmoded understanding of the sacred text inherited from Muslim clerics who lived and wrote their Qur’anic interpretations a thousand years ago, at a time of great wars and chaos. “Only if Muslims and adherents of other faiths are willing to reinterpret their respective scriptures – and thereby renew their religious doctrines – will we witness a new era, dominated by a more humane and truly spiritual religiosity. Given the current crisis facing humanity, leaders of the world’s various faiths must work together to ensure full respect for the rights and dignity of all human beings, regardless of their religion or lack thereof. This is the sacred duty of those who adhere to all religious faiths, and the true jihad that the world still awaits.” Read the full article (PDF). “For me personally, ‘Their Islam’ is a fair term to describe the views of those who would annihilate the great beauty and diversity of traditional Islam in the name of an artificial and enforced conformity to their own rigid opinions. For such people, Our Islam is a misnomer, for in fact they seek to enforce – through intimidation and violence – a colorless, monolithic uniformity that does not and has never existed in the long history of Islam. “The desire for Our Islam appears to be inherent in the nature of most Muslims. Yet the only realistic way to establish such a phenomenon is for My Islam and Your Islam to peacefully coexist in mutual respect and toleration, without trying to annihilate our differences. Rather than seek to repress or destroy the nearly infinite, beautiful variety of God’s creation, we would be better advised to pursue al-jihad al-akbar and annihilate our own egos, so that we may unite in a common spiritual apprehension of the One – which gives rise to inner peace and a joyful tolerance of differences here on earth.”However, those who care about the future of Our Islam on this earthly plane would be well advised to unite in rejecting the use of Islam as an ideology, or a weapon to violate the sanctity of Your Islam and mine.” Read the full article (PDF). “C. Holland Taylor doesn’t look like a man radical Muslims should fear…. He possesses no arsenal of weapons, holds no government post, and operates no intelligence service. Yet he runs the world’s most potent and innovative anti-extremist network and may hold a key to defusing the ticking bomb of Islamic terrorism.” Read the full article (PDF). “Indonesia is considered by many observers to be the world’s biggest success story with respect to preventing Muslim radicalization and terrorism…. And a huge part of that success—and perhaps the key to fighting Islamist extremist terrorism in other parts of the world—lies in the work of LibForAll, an organization The Weekly Standard calls ‘the world’s most potent and innovative anti-extremist network.’ And that work has nothing to do with hunting down and capturing terrorists.” Read the full article (PDF). “The essence of Islam—if there is any such thing—is, of course, untestable and debatable. But the religion certainly isn’t going away anytime soon. Nurturing its liberal, pluralistic, and non-supremacist strains may be the most important thing the West can do, for the welfare of Islam’s millions of followers and for the West’s own survival. LibForAll is leading the way.” Read the full article (PDF). “On the international stage, the LibForAll Foundation has just released an English translation of The Illusion of the Islamic State, a compendium edited by the late Islamic scholar Abdurrahman Wahid. Once the president of democratic Indonesia, the world’s largest Muslim-majority country by population, the influential Wahid also led Nadlahtul Ulama (NU), the world’s largest Muslim organization, with over 40 million members. NU and other Indonesian moderates are clashing directly with the Muslim Brotherhood, arguing that Islamic scripture does not require the establishment of a caliphate or the imposition of sharia jurisprudence (i.e., fiqh) as governing law. Sharia, they contend, is a matter of private conscience.” Read the full article (PDF). “The Illusion of an Islamic State is more of a policy paper than a book. It is the end product of a study where 27 academics traveled across Indonesia and interviewed nearly 600 extremists in order to define the motivations, strategies and weaknesses of Islamists. The authors’ stated goal is to confront the Muslim Brotherhood, Wahhabism and Hizb ut-Tahrir and turn Indonesia into an ideological launching pad against them…. The book is young, only published in Indonesia in May 2009, but has had a tremendous impact. The project was funded by a single American donor and a Swedish government grant. The Gulf governments, on the other hand, spend billions promoting Islamism. The success of The Illusion of an Islamic State is frustrating in a way. If a relatively small expense could do so much good, then what would happen if real money and support was put behind it?” Read the full article (PDF). “‘Indonesia’s experience proves that moderate values which are voiced by moderate Muslim leaders, including academicians and NGOs, in Indonesia greatly contribute to the counter-radicalism in Indonesia,’ [Ambassador of the Republic of Indonesia H.E. Arif Havas Oegroseno] explained, at the same time showing a book titled ‘The Illusion of an Islamic State’ published by the Wahid Institute, LibForAll Foundation and Maarif Institute. The book was a result of research conducted by leading think-tanks in Indonesia and abroad which promote academic and theological aspects. Ambassador Oegroseno further explained that Indonesia’s ability to overcome the political and economic crisis in a relatively short time, and with Indonesia’s stature today, have proven that Islam is compatible with modernization, democracy and human rights.” Read the full article (PDF). “There are very few books that can be called ‘the book’. Undoubtedly ‘The Illusion of an Islamic State’ is one of them. The title may be provocative for some Muslim extremists like the Iranian governing theocratic establishment, but it states bluntly what it advocates; it is about ‘an alliance of moderates who launched a successful Jihad against radicalisation and terrorism in the world’s largest Muslim majority country’; Indonesia. “The book is a combination of scientific research of the highest standards conducted by academics in Indonesia who were joined by representatives of the various Muslim organizations. Strong opinions and beliefs along with bold scientific research were the instruments the authors used to achieve their targets.” Read the full article (PDF). “The [Illusion of an Islamic State] appeared in Indonesia in 2009, and immediately ignited a firestorm in the Muslim world. The authors received death threats and were painted as ‘enemies of Islam’ by the very people who defend terrorist attacks, and refer to terrorists as ‘martyrs’ and ‘heroes.’ This is noteworthy and significant, because the book is directed against precisely these radicals, and against the irredeemable version of Islam they wish to impose on others. 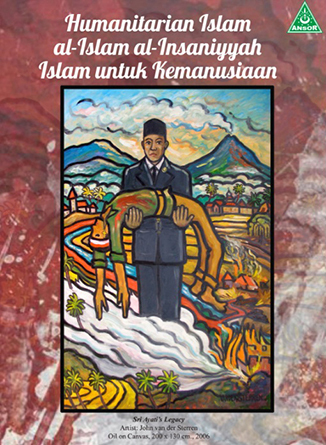 The book’s title is derived from Abdurrahman ‘Gus Dur’ Wahid’s introductory text: ‘Their dream of an Islamic state is merely an illusion, for the true islamic state is not to be found in the structure of any government, but rather, in hearts which are open to God and all his creatures.’ In other words: God and politics have nothing to do with each other.” Read the full article (PDF). “Now [Gus Mus] has translated this distinguished book into English, with the title, The Illusion of an Islamic State. His noble objective is to inspire not only Indonesians, but people throughout the world. In this way he is giving of himself, and sincerely inviting the ‘citizens of this earth’ to know and understand each another. To recognize that all human beings are truly our brothers and sisters, in spirit. And to realize that although there will always be conflict, this very fact obliges us to invite one another to find solutions together, cooperating in a spirit of brotherhood.” Read the full article (PDF). “Listening to Mr Bisri and reading some chapters of the book, I was convinced, however, that Indonesia’s Muslim scholars have the courage and determination not only to denounce such violence but also to counter it with religious arguments. If true Muslims are to win this battle of ideologies against extremists, they will have to do more to spread their message and work harder to develop counter arguments. Indonesian scholars deserve credit and support and more publicity for embarking on the difficult task. Perhaps one day, Pakistan’s religious scholars will also work as fervently to reclaim Islam from those peddling a distorted version of religion.” Read the full article (PDF). “If the world’s major religions ever learn to coexist, they may have C. Holland Taylor to thank. ‘….Holland was on the cutting edge in the Islamic world,’ recalls the Wiesenthal Center’s Rabbi Abraham Cooper, who was introduced to Taylor by Mizel. ‘He impressed me immediately with the depth of his contacts as well as his realistic approach: This was no pie-in-the-sky person who thought he could change the world just like that. Kudos to Holland for being a man of clarity, courage and vision. I am certain it is not easy for him to work within the Muslim world with a kippah-wearing Jew.’” Read the full article (PDF). “Rauf Ceylan, professor of Religious Studies at the University of Osnabrück, thought highly of the first episode of Ocean of Revelations to be screened in Germany. ‘It was very impressive to see the rich diversity of Islam conveyed in word and image, and especially (to hear) the voices from Indonesia,’ explained Ceylan…. What impressed the Islamic scholar more than anything else was the film’s depiction of Islam’s spiritual depths, which were accentuated again and again, along with its mystical components. ‘And it is tragic that precisely this Islam, this stream of Islam, which represents over 90% of Muslims, is completely overlooked in public debates (about Islam).’” Read the full article (PDF). “[O]ne of the most influential liberal Islamic scholars worldwide: Ahmad Mustofa Bisri of Indonesia, who represents the world’s biggest Islamic association.” Read the full article (PDF). “The ‘voice’ is gone. And we are left with wilderness. Gus Dur, the voice that made the wilderness less terrifying, shall no longer be heard. His was the voice of hope, the voice that kept the flame of hope burning in many hearts…. The echo of each and every word he ever uttered shall remain here. Right here, with you and with me – with all of us.” Read the full article (PDF). “Indonesian democracy is all the better for the contribution of Abdurrahman Wahid, Indonesia’s first democratically elected president. Mr Wahid, 69, a frail but pugnacious figure popularly known as Gus Dur, died on Wednesday night. A moderate Islamic scholar, his most important legacy was paving the way for the democracy that Indonesia, the world’s most populous Muslim nation, now enjoys.” Read the full article (PDF). “The Libforall Foundation is one of the rare success stories of an initiative in which moderate and liberal Muslims – too often the silent and disorganized majority – have organized effectively to counter radical Islamist groups by promoting democracy and tolerance.” Read the full article (PDF). “Truth that is not organized can be defeated by evil that is. So goes an old Sufi saying. Moderate Muslims in Indonesia are working to get organized for [an ideological] war with hard-liners who are misinterpreting the Koran as a political ideology that is driving the direction of Islam across the world.” Read the full article (PDF). “To help overcome intolerance and promote a more pluralistic and inclusive understanding of Islam, the Goethe-Institut in Jakarta has organized ‘Ocean of Revelations,’ an interactive exhibition featuring weekly video screenings, speakers and discussion groups …. The exhibition is a collaborative effort between the LibForAll Foundation, the Friedrich-Naumann Foundation, the German Academic Exchange Service and Alumniportal Deutschland…. ‘Ocean of Revelations’ is also the title of a television series, produced by the LibForAll Foundation, which seeks to highlight Islamic religious authorities and teachings that go against hard-line views. 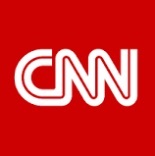 ‘Firmly grounded within the theological and spiritual traditions of Islam itself, this video series is presented by top Muslim leaders who possess the moral and theological authority to successfully adopt a bold stance against religious extremism,’ said Holland Taylor, co-founder and CEO of the LibForAll Foundation.” Read the full article (PDF). “JAKARTA: Just days before Indonesians go to the polls, a study has been released charging that an Islamic party is spreading radical and extremist ideology – undermining the country’s moderate Islamic tradition. “‘…the findings will certainly have some bearing on the country’s politics.’” Read the full article (PDF). “The [LibForAll] foundation hopes to tip the balance toward a message of tolerance. It briefs policy makers in the United States and Europe and works with other organizations that promote tolerance, including the Simon Wiesenthal Center in Los Angeles, a Jewish institution that cosponsored the Bali Holocaust conference. The foundation is also producing a video project that features moderate Muslim leaders from various parts of the world explaining their faith. It plans to distribute the programs to Islamic schools and make the series available for broadcast.” Read the full article (PDF). “The Administration and Congress should support counter-extremism programs in Indonesia. By building and strengthening liberty-minded Muslim networks, media, and school curriculums, organizations like the LibForAll Foundation are working actively to attack Islamism at its ideological roots.” Read the full article (PDF). Policy Recommendations “Support nongovernmental efforts to promote religious tolerance and pluralism. U.S. officials should recognize and support important work by nongovernmental organizations in promoting religious pluralism. For example, the LibforAll Foundation has done groundbreaking work in Indonesia by building networks among educators, religious leaders, celebrities, and opinion leaders in promoting religious pluralism. This approach could also be applied in Pakistan.” Read the full article (PDF). “President Wahid has assumed the mantle of leadership of an international movement dedicated to stemming the tide of radical Islam and reclaiming authentic Islam from those who have corrupted its teachings and used them to promote a repressive political ideology, religious intolerance and terrorism. The lynchpin of this movement is the LibForAll Foundation, an Indonesian- U.S.- and Netherlands-based organization that President Wahid co-founded to propagate models of a prosperous, moderate and tolerant Islam, and to support moderate and progressive Muslims in their efforts to promote a culture of liberty and tolerance.” Read the full article (PDF). “With its traditions of religious pluralism and tolerance, Indonesia and its civil society are ideally positioned to serve as mediators, helping to remove the poison of religious hatred that has long afflicted the Middle East. By integrating its rich spiritual traditions with the best of modern practices, Indonesian Islam can serve as a model for Islamic civilization worldwide and help inspire a similar renaissance of Islamic spirituality and tolerance in other parts of our troubled world.” Read the full article (PDF). “Dhani’s campaign for tolerance, however, begins at home, where after a decade of conquering the charts with his band, Dewa 19, he now hopes to wean the hearts of millions of Indonesian Muslims away from creeping extremism. And if most American music fans have yet to take notice, the U.S. security establishment appears to understand Dhani’s potential significance. Last October, he addressed U.S. military and government officials at a Defense Department-sponsored conference at NORAD in Colorado Springs, explaining how he rejected the path of his father, a former member of the hardline Dewan Dakwah Islamiyah Indonesia — and also that of his grandfather, a member of Dar ul-Islam, an outlawed group that once fought for an Islamic state in Indonesia.” Read the full article (PDF). “Chairing the discreetly-organized conference is former Indonesian president Abdurrahman Wahid, known as Gus Dur, a moderate Islamic leader known to take courageous positions in Indonesia …. “‘Although I am a good friend of Mahmud Ahmadinejad, I have to say he is wrong,’ Gus Dur told the conference, referring to the Iranian president’s dismissal of the Holocaust as a myth…. ‘He falsified history.’” Read the full article (PDF). “Indonesia is making an effort to uphold its tolerant and secular image. The world’s most populous Muslim nation has, for an entire day, become a showplace for a hitherto unique religious conference: the gathering on the holiday island of Bali concerned itself entirely with religious tolerance and recognizing Nazi persecution of Jews as an historical reality. Indonesia thereby consciously seeks to distance itself from fundamentalist and radical spirits.” Read the full article (PDF). “Some crucial milestones were achieved that day in the world’s largest Muslim nation. Members of the Jewish religion, including a rabbi from Israel, were invited to the table as equals. They and religious figures of four other faiths openly interfaced with young Indonesians and the media. “We heard Muslim leaders explicitly condemn suicide terror and Holocaust denial while openly weeping with survivors of suicide bombings in Indonesia and Israel and embracing a Jewish survivor of the Nazi Holocaust.” Read the full article (PDF). “[T]here is no doubting Wahid’s commitment to interfaith harmony. He tells Indonesian Muslims that they can learn from Christianity and Christian life, and has dispatched armed members of Nahdlatul Ulama to protect Christian churches from Islamist violence. Not long ago, one of Wahid’s Muslim adherents was killed when he discovered a bomb in a church and used his body to shield the Christian worshipers from its blast. That stunning act of selflessness is a powerful reminder that Muslims no less than non-Muslims have a great deal riding on the defeat of the Islamofascists, and that we will not win the war against radical Islam without Muslim allies like Wahid.” Read the full article (PDF). “The Dalai Lama has defended Islam at an historic religious gathering in San Francisco today, saying suicide bombings were tragic “mischief” that could plague any religion. The Dalai Lama took centre stage at an unprecedented anti-terror summit with Muslim clerics and other religious leaders from around the world. “Among the supporters of the religious solidarity movement was former Indonesian president Abdurrahman Wahid, leader of that country’s largest Muslim organization Nahdlatul Ulama, which has 40 million members. Holland Taylor delivered a letter from Mr. Wahid praising the gathering and offering to align himself with the Dalai Lama in future meetings of the newly established group. “‘What is going on is a struggle for the soul of Islam,’ Mr. Taylor said. He said Mr. Wahid and other top Muslim leaders were on the Dalai Lama’s side in the ‘tug-of-war’ against religious extremism. Mr. Taylor referred to Sunni and Shiite leaders forming a public alliance with the Dalai Lama as ‘ideological jujitsu’ to deflect the power of radicals and unite moderates that represent ‘the true heart of Islam.’” Read the full article (PDF). LibForAll co-founder C. Holland Taylor is linking moderate Muslim leaders “in a network of lighthouses within the Islamic world that will promote tolerance and freedom of thought and worship.” Read the full article (PDF).